The Karnataka government plans to establish a 'Nano Park' here, which will have nano incubation centre, said Chief Minister Siddaramaiah. "Our government proposes to establish a state-of-the-art Nano Park in Bangalore, which will have nano incubation centre along with necessary physical infrastructure and support system including common facilities," Siddaramaih said at the inauguration of '6th Bangalore India Nano' here. "I'm sure this initiative will give a major fillip to the nanotechnology industry to blossom in the state in the coming years," he added. It was inaugurated in the presence of eminent scientist, Bharat Ratna awardee C N R Rao and Nobel Laureate Sir Andre Geim. The event is organised by Department of IT, BT, S&T- Government of Karnataka and Vision group on Nanotechnology. Siddaramaiah said the Indian Institute of Nano Sciences and Technology is being established in Bangalore with the funding support from Union Government under the nano mission at an estimated cost of Rs 100 crore. The state government has already allocated 14 acres on Tumkur road for locating this institute, he pointed out. 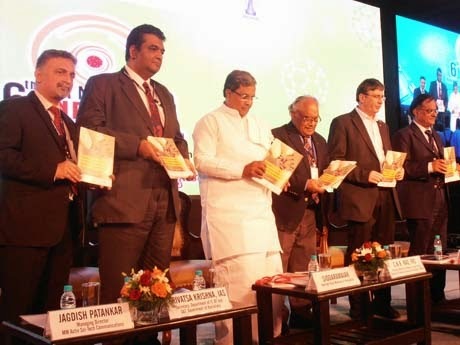 Stating that Bangalore has always been a trend setter in encouraging new wave of industrial development, he said: "In knowledge-based industrial development, Bangalore has reached iconic stature. I am delighted to state that the city is acclaimed as one of the top 10 Technopolises in the world." Calling on scientists to come up with tangible nano- technology-based solutions for food security, energy security, water purification, medicine and health care, he said: "The ultimate purpose of science and research should be to address the huge challenge in these areas." Rao said India is number three in the world in the area of nano sciences and commended the contribution of institutes like Indian Institute of Science and Jawaharlal Nehru Centre for Advanced Scientific Research. He said: "We have made reasonable progress; ....We have a long way to go." "We should not forget the importance of science. Science should also focus on solving human problems and improve the quality of life," he said. 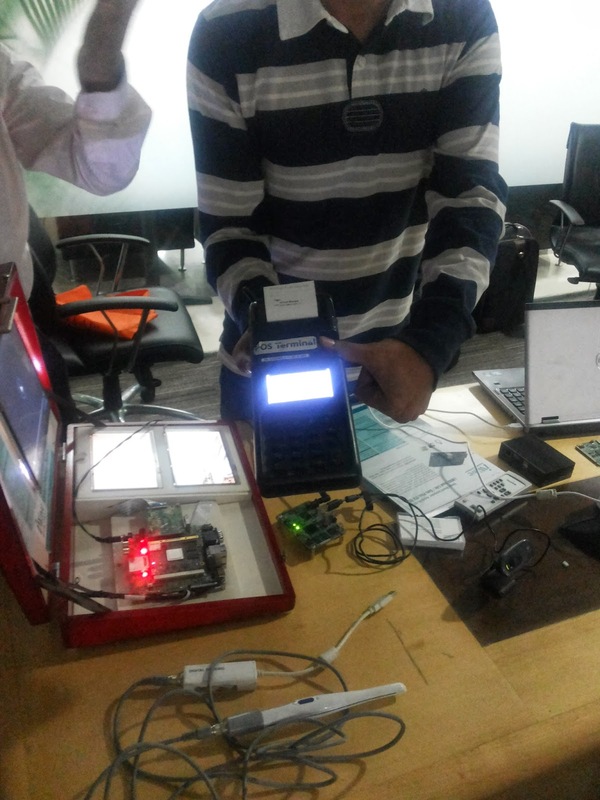 Freescale Semiconductor, dealing in embedded processing solutions, along with iWave Systems Technologies, a Bangalore based Product Engineering Services company, demonstrated a range of technology innovation. The innovations developed by iWave Systems and based on Freescale technology include a Wi-Fi enabled Skin and Tooth Analyser, Smart MIPI camera, WEC2013 on Freescale’s i.MX6 SDP and iWave’s i.MX6 development board, System on Module (SOMs), Development Boards, Single Board Computer and many others that will benefit Industrial, Medical and Automotive domains. Finally retailing in India will come of age. 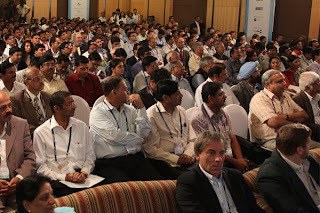 At the on-going SAP TechEd 2013 summit in Bangalore, the German software company announced the rollout of SAP Ganges, a business network built on the SAP HANA cloud platform will connects the last mile in retail consisting of Consumer Packaged Goods (CPG) companies, distributors, banks, and your neighboring mom and pop or kirana retail stores. 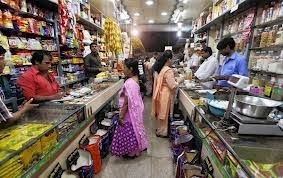 According to industry sources, about 9.3 million retailers are in India today and that amounts to 40 percent of the world's retailers, However, most of them are in the unorganized kirana stores. Only 4 percent of India’s retail market is the organized sector i.e. controlled by large supermarket or chain stores, while in China the share is about 20 percent and in Brazil 36 percent . Technology is reshaping the world around us and is removing barriers across geographies and businesses. Customers are seeking out the best offers, the best prices, and the best service levels with the help of real-time data. It has become imperative for CPG companies to work off a foundation of optimal processes across their entire value chain. The SAP HANA cloud platform powers the business network with real-time data on a massive scale. Vishal Sikka, member of the Executive Board of SAP AG, Products and Innovation, said: "With SAP Ganges, we have shown that SAP HANA has the ability to transform and evolve entire industries in India. 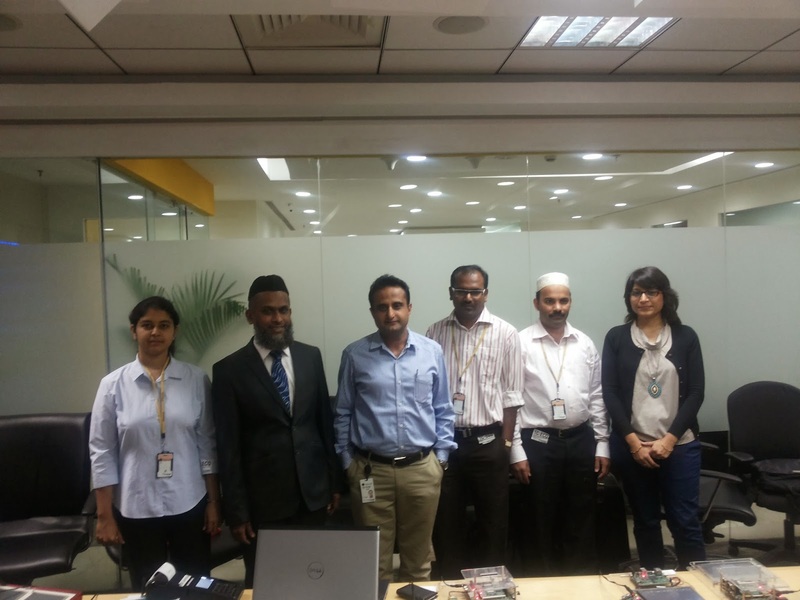 SAP HANA is helping connect businesses of all sizes in real-time: from the millions of kirana stores; to the large CPG companies serving them, and the financial institutions supporting them; by bringing new value to all points along this network and empowering people to conduct businesses in a totally open, transparent and real-time way." 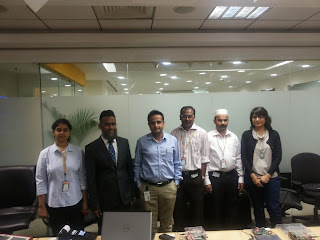 Developed in India (Bangalore) for the Indian market by a team of 10 developers along with 75 more outsourced globally, SAP Ganges is a business network offering seamless connectivity for CPG companies to the last mile of their supply chain, which consists of millions of unorganized retail stores. Other partners in the business network are: distributors of the consumer product companies; banks, which provide credit to the retailers; value-added services providers; telecom services providers which enable remote connectivity; and manufacturers of affordable point-of-sale (POS) devices. * CPG companies: enabling visibility through reporting and forecasting based on sales information aggregated from the retail stores. In addition, they can use SAP Ganges as a direct marketing channel to reach retail stores. * Distributors: providing the distributor to take orders, track inventory at the retail stores, and to allow them to receive payments digitally. * Banks: enabling banks to assess credit eligibility of retailers and to adjust credit limit periodically based on retail store sales. 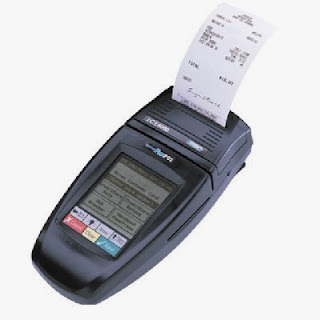 * Retail Stores: enabling retail stores to connect to business network using PoS devices and to access business services. According to the India Brand Equity Foundation, the Indian fast moving consumer goods sector consisting of personal care, household care, and food products was valued at $36.8bn in FY2011-12; and is one of the fastest growing retail markets in the world. Following the release in India, SAP plans to roll out SAP Ganges to other retail-intensive economies such as Brazil, South Africa, China and Indonesia. 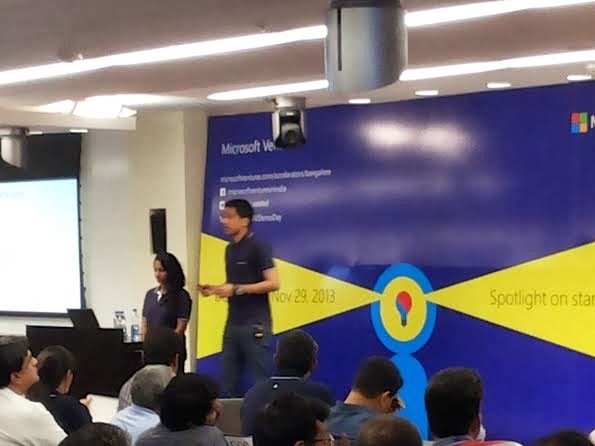 Microsoft Ventures in India recently announced the graduation of its Winter Batch from the Microsoft Ventures Accelerator program in India. At a Demo Day held at the Microsoft Lavelle Road office in Bangalore, the 400 plus audience of mentors, industry influencers, venture capitalists, angel investors and media professionals witnessed the amazing progress made by each company over the last four months at the Accelerator. The 13 startups which graduated now include: AdSparx, ShieldSquare, Chance, Frrole, Native5, SignEasy, TommyJams, Whalelogix, Scibler, HasGeek, Nanobi, Tookitaki and 1000Lookz. The accelerator, which was until recently headed by Mukund Mohan, now director of Microsoft Ventures, shifted hands after the global reorganization that took place in July. “It is amazing that 90% of the companies in this batch are running on revenues, as opposed to just 30% in the first batch. We are talking revenues of about $100,000. That is dramatic shift in the last one and half years,” said Mohan, former CEO in residence, Microsoft Accelerator. A notable ones that graduated are Chance, a video interaction application; Frrole, a media social intelligence platform; SignEasy, an online document signing application; and TommyJams, a Web platform that connects music artists to venues. All the graduating companies, except two, are close to getting funded, people with direct knowledge of the matter said Mohan.